Gum can’t get any cooler than this. 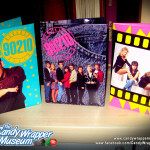 Today we blast back to the 90s with Beverly Hills, 90210 Folder Bubble Gum. The series ran all throughout the decade, and I must admit I never watched it. Looking at the original season one intro, I remember why. However, as time has passed I have met a number of people who swear by its camp value and other guilty pleasures, so who am I to judge? It was also named one of the Best School Shows of All Time by AOL TV. …AOL TV? Well, that’s another topic…. 1. Luke Perry is apparently the star of the show. He’s the only person who rated his own picture on the cover. 2. 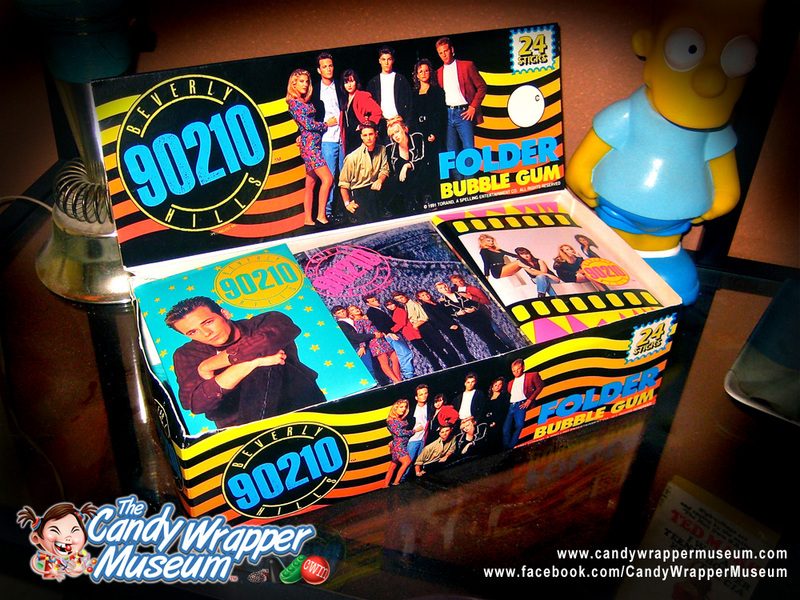 Despite this being the 90s, the 80s were still alive and thriving with the design of these packs: bright colors, nonsensical geometric patterns, and photos of people with lots and lots of hair mousse and gel. 3. 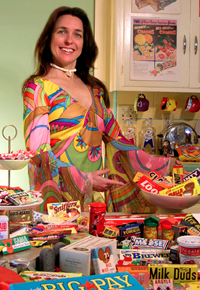 The gum makers must have had access to the same preservatives as the Hollywood stars, because the gum appears as fresh and soft today as it did twenty some-odd years ago. 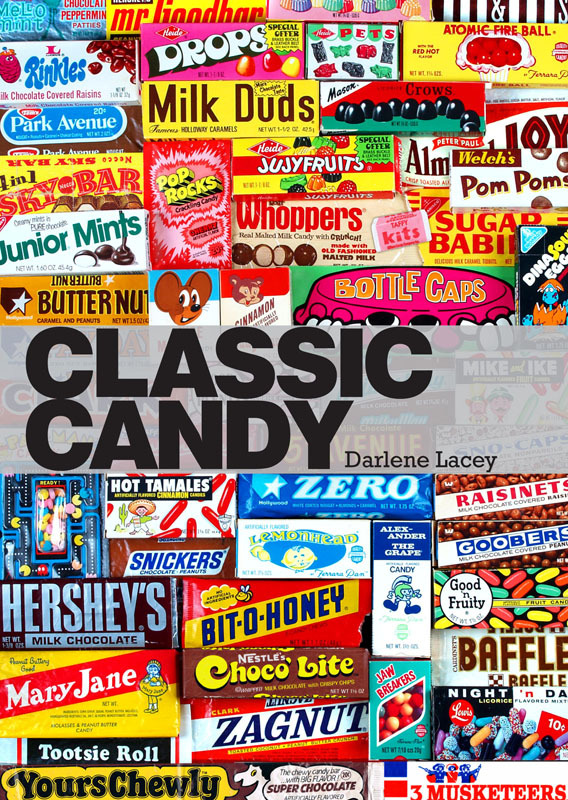 Anyway, (much of) the gang’s all here, ready to chew bubblegum and fall in and out of love: David and Donna and Dylan and Brenda and Brandon and Andrea and Kelly and Steve. 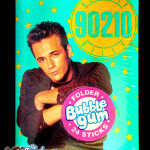 Luke Perry, carrying the most clout in the bubblegum world. A view inside the folders. 80s design ethics run wild. The backs of the packs. 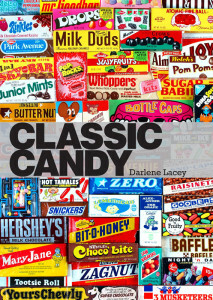 If you’d like to read more about American candy and culture from its golden age, check out my new book, “Classic Candy: America’s Favorite Sweets, 1950-80,” available at amazon.com, powells.com, and barnesandnoble.com. It’s available in a print edition as well as NOOK Book and Kindle. 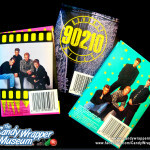 This entry was posted in Art and tagged Beverly Hills 90210, Candy Wrapper Museum, Classic Candy. Bookmark the permalink.